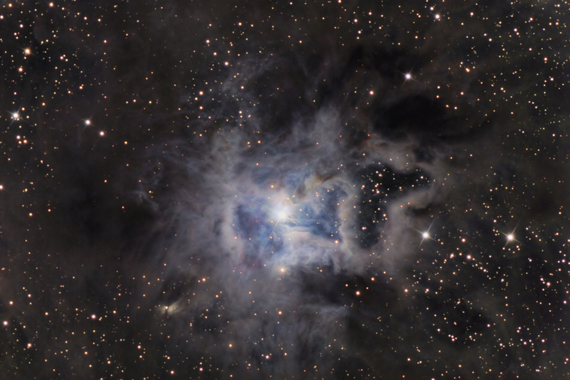 NGC7023 or the "Iris Nebula" is a reflection nebula in Cepheus. The Iris Nebula is located about 1300 light years from Earth. The dust that creates the blue reflection is left over from the creation of an energetic 10 solar mass star HD200775 which is bright central star in this image. The Iris Nebula has a very wide expanse of associated nebulosity. To see a version of this object processed to show the nebulosity click here.